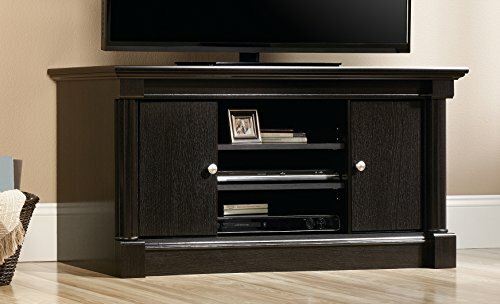 This dark-wood finished paneled TV stand accommodates up to a 50" TV weighing 95 lbs. or less. This unit features: two adjustable shelves behind each door, holds DVD's and CD's with an Obsidian Oak finish.